Miss Wonderland features a full-cut apron dress with tiered skirt and corset waist. We give you full-cut black and white striped tights. Add a clock purse to complete the outfit! SKU: 83354X. Category: Plus-sized Women's Costumes. 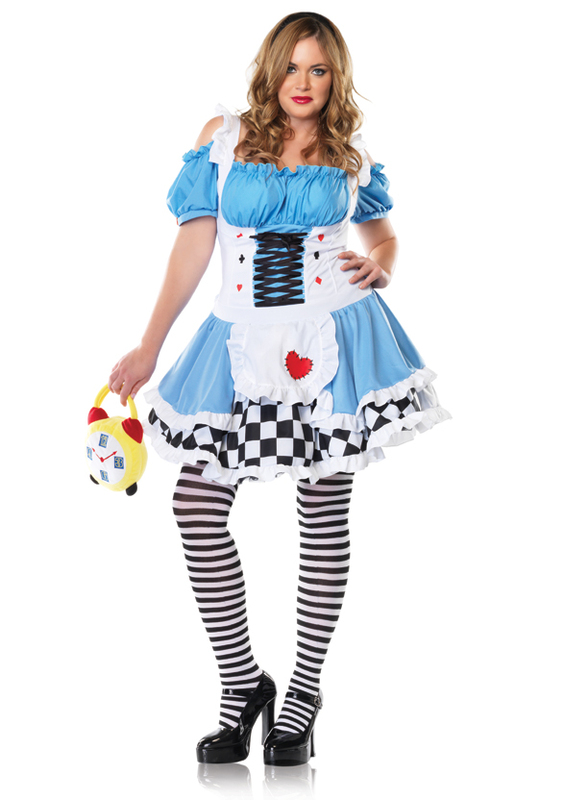 Tags: plus size Alice costume, plus size Miss Wonderland. 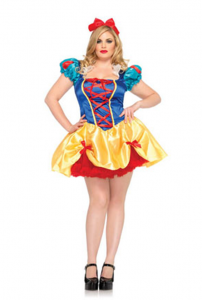 Plus-sized Miss Wonderland, features apron dress with tiered skirt and corset waist. Be the first to review “Miss Wonderland” Click here to cancel reply.